Did you know that this month is the Third Anniversary of Paper Pumpkin? For those of you not familiar with Paper Pumpkin, it is a monthly subscription that comes straight to your home. They are filled with lots of goodies and everything you’ll need that month to assemble your project, except scissors – but everyone already has those. Here’s how it works: you click the link on the left that says “Paper Pumpkin click here to subscribe today”, enter your name address and billing info. 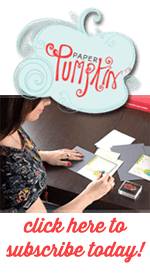 Then wait patiently by your mail box for your Paper Pumpkin kit to arrive! These are the finished cards. This kit came with 9 cards, 9 envelopes, stamp set, and Ink Spot (not shown). Now, you’re probably wondering how these relate to “Five Minute Friday”. 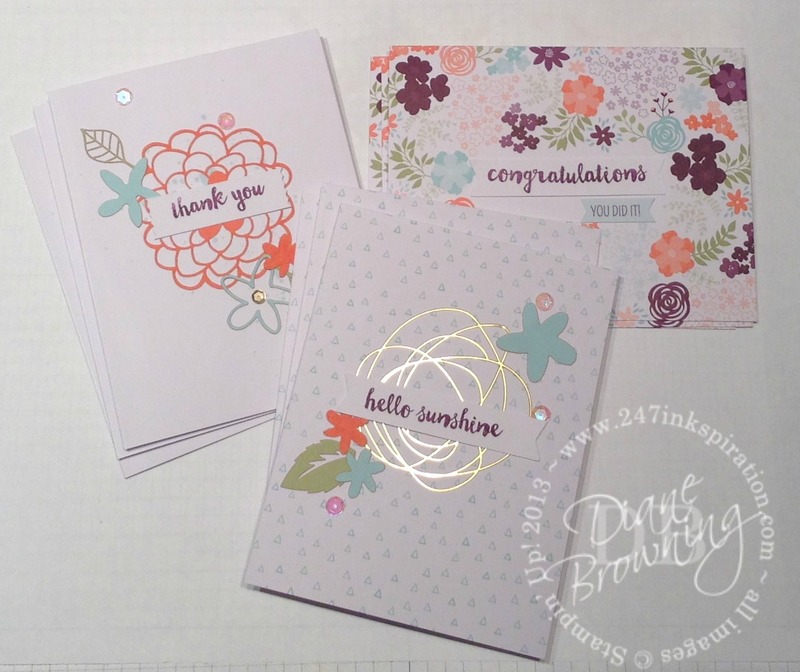 These monthly kits go together so quickly and easily, that I assembled all 9 cards in about 30 minutes which is fairly close to the five minute timeframe per card. I love how quick the Paper Pumpkin kits assemble. It’s not too late to sign up to get April’s kit. Just click the link on the left that says “Paper Pumpkin click here to subscribe today”, enter your name address and billing info. If you want to do a trial subscription, you can pick a short term prepaid subscription in the following increments: 1, 3, 6, or 12 months.